Depending on your slimming goal, allonature will offer you the right product for your needs. Let yourself be tempted by our winning trio: the slimming gel whose effectiveness has been proven scientifically, the slimming oil enriched with 9 essential oils, and the cup slimming, this revolutionary and formidable efficiency accessory thanks to the famous technique of massage "palpate roll". The triple action slim gel is a slimming care, detoxifying and anti-cellulite. 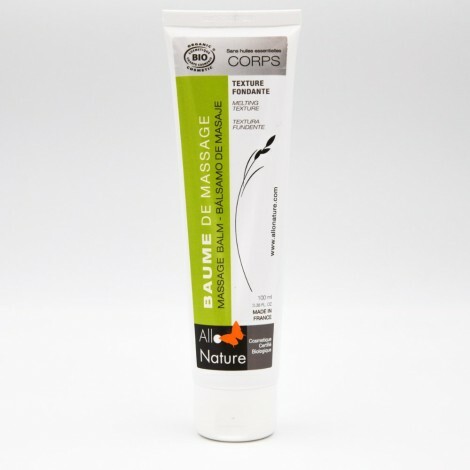 Its texture penetrate easily in the epiderm and don't stick. Thanks to its high concentration in active substance, it has a direct impact on the subcutaneous fat, and help to lose up to 5 cm. The more you use it, the better the skin will be soft. The Slimming Cup is a silicone suction cup that significantly reduces cellulite using the palpate-rolling method. It is used in addition to a Slimming Gel to enhance the anti-cellulite benefits of the treatment. An accessory that complices your slimming cure! The Slimming Box Triple Action Box contains a Massage Balm, a Slimming Gel and anti-cellulite Cup. An organic and effective range to redraw the silhouette and to blur the imperfections of the skin. Lose up to 5 centimeters in 28 days!